SilcoTek® coatings like SilcoNert® and Dursan® make critical flowpaths inert; assuring you're getting the process data and product quality you need. Refiners using Teflon tubing and PTFE coatings can experience porosity, delamination, and tubing failures in sample transfer heat trace tubing applications. Our inert, corrosion resistant coatings line tubing surfaces to provide a high temperature, high durability surface. The perfect solution for challenging sampling environments. SilcoNert and Dursan improve response 20x or more. Stop process upsets, improve yield & quality, prevent catalyst contamination. Know exactly how your process is performing. 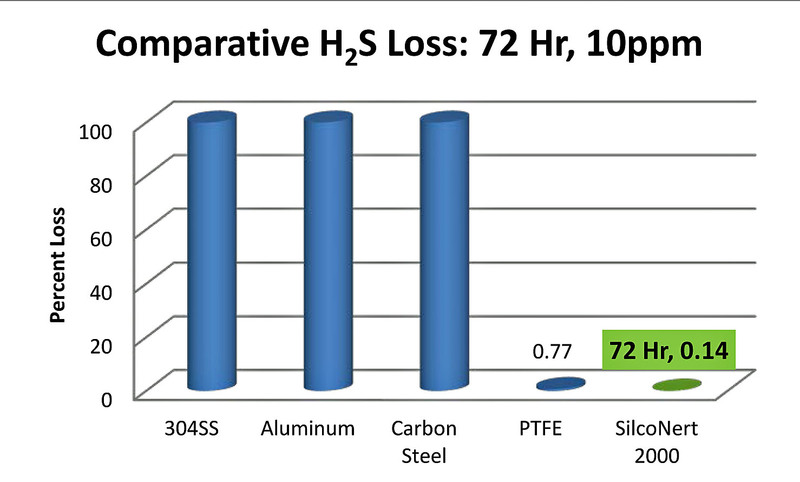 SilcoTek coatings do not adsorb active compounds like H2S, ammonia, VOCs and Mercury; so you know exactly how your process is performing. Accurate analysis of part-per-million and part-per-billion levels of sulfur containing compounds in stack and flare emissions and petrochemical sampling are critical to meeting new regulations for low level sulfur. 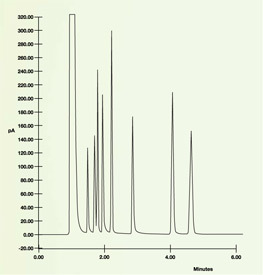 Many organo-sulfur compounds, like hydrogen sulfide (H2S) adsorb to metal surfaces. 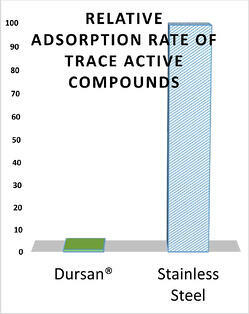 SilcoNert® and Dursan® coated surfaces virtually eliminate adsorption, improving system reliability, & reducing calibration failures. When it comes to high durability inertness, common flowpath materials like PTFE tubing don't stand a chance against SilcoNert. EPA Method 325 requires low-level monitoring of benzene at the refinery fenceline via passive sorbent tubes sampling over 2 week intervals. Compliance will be costly to refineries SilcoNert and Dursan coatings make the most of the dollars invested and assure full compliance. SilcoNert® coated surfaces, on right, virtually eliminate adsorption of VOCs, preventing lost peaks or distortion of chromatographic results. SilcoNert® coating is recognized industry-wide as the leading inert surface that enables refiners to sample their processes reliably with high accuracy and reproducibility. If left uncoated, even low surface area parts will adsorb compounds of interest and lead to invalid results, causing expensive retesting. 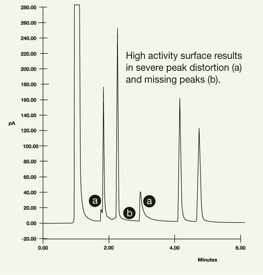 Uncoated surfaces within the GC flow path adsorb benzene, toluene, xylenes and other target analytes, leading to severe peak distortion and missing peaks. 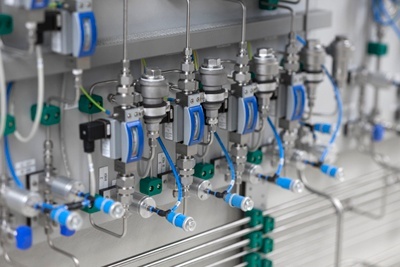 SilcoNert-coated GC flow paths produce sharp peaks with high resolution, giving refineries superior analytical accuracy and full compliance with EPA regulations. Benzene, organosulfur compounds, and other hazardous air pollutants (HAPs) that can be measured with Method 325 protocol are known to be highly reactive with bare, untreated stainless steel. SilcoNert® provides a uniform barrier between substrate and sample while preventing analytes of interest from adsorbing onto the surface, ensuring they reach the analyzer and can be accurately assessed at low levels (ppb or lower). Reactive stainless steel surfaces can adsorb and desorb compounds, causing false readings and delaying critical results or causing regulation compliance issues. 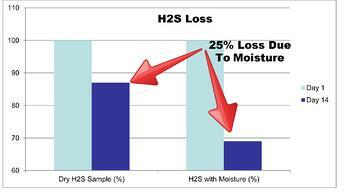 Moisture in analytical systems can have a similar effect. 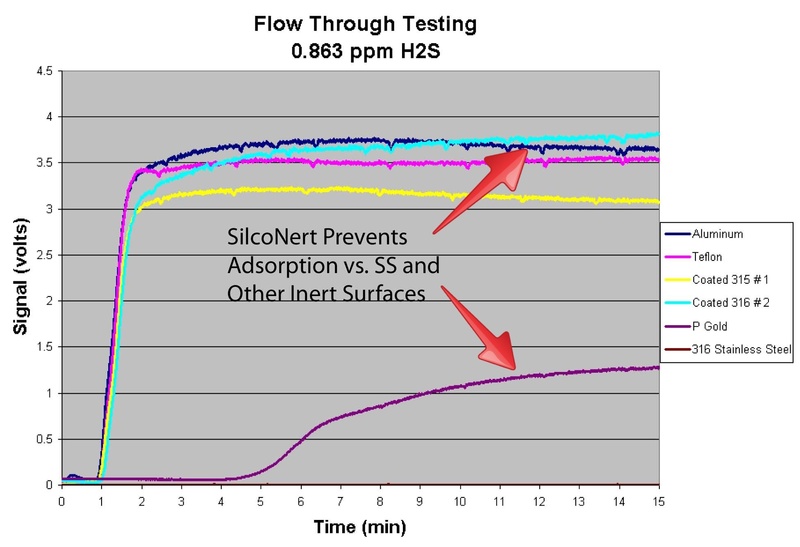 SilcoTek coatings prevent stainless steel adsorption and moisture contamination in critical flowpath surfaces; assuring fast accurate analyzer results. SilcoNert® 2000 and Dursan® will conform to the most intricate surfaces while maintaining high dimensional tolerances. Our coatings will deform with tubing surfaces allowing for radius bends and will not interfere with threaded or compression joints; making our coatings ideal for the analyzer house. SilcoNert® 2000 and Dursan® will conform to the most intricate surfaces while maintaining high dimensional tolerances. SilcoTek coatings will deform with tubing surfaces allowing for radius bends and will not interfere with threaded or compression joints; making our coatings ideal for process, refinery gas, stack, and flare sampling . Coat the entire sample pathway to assure optimum performance. 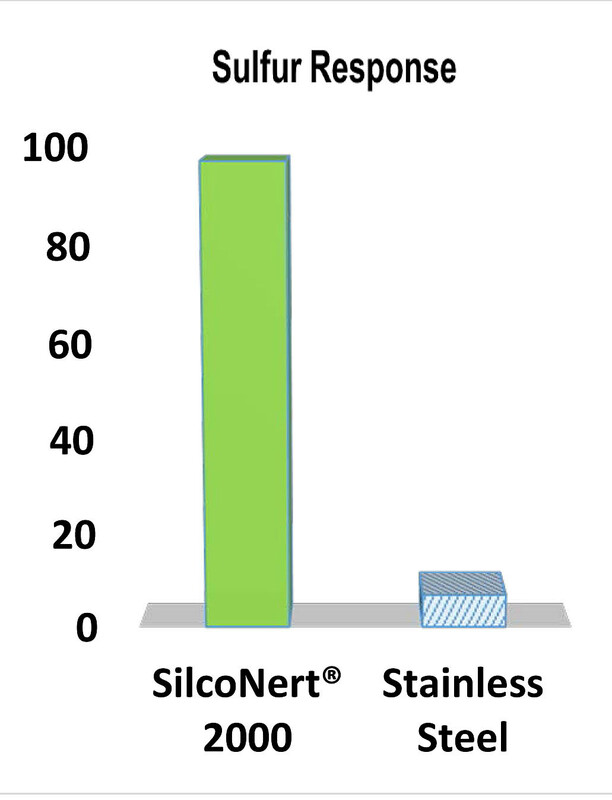 See how SilcoNert® performs in the lab. Send your components to SilcoTek® for custom coating service in 10 days or less; or you can by SilcoTek coated components directly from manufacturers like Swagelok, O'Brien Analytical, Concoa, Scott, and many others.